Fifth-generation wireless technology could mean big changes for the golf maintenance industry, including how superintendents consume education. The advent of coming fifth-generation wireless technology promises to change the way we live and conduct business. Not only does 5G mean connections so fast it will dramatically improve web browsing and video streaming, it promises latency measured in single-digit milliseconds (try 1 millisecond on for size) that one scientific publication says is faster than the human brain can process. With processing speeds at least 20 times faster than 4G according to Verizon, 5G technology will have dramatic influences over online learning and medical procedures. 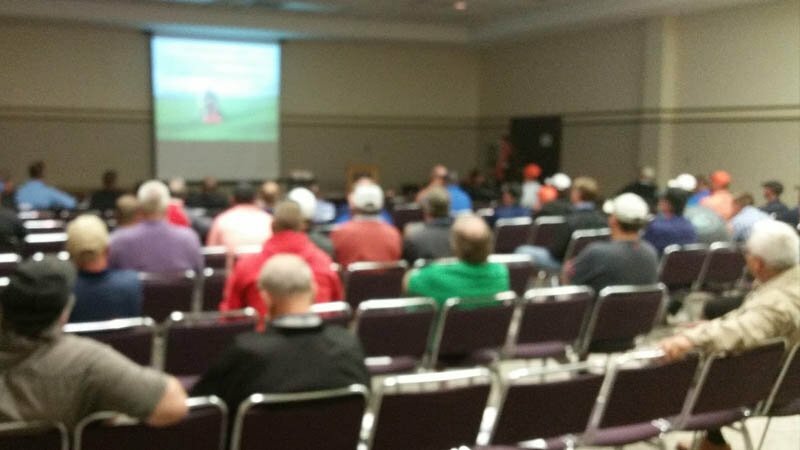 For golf course superintendents, faster processing speeds will improve online learning opportunities (imagine a faster, improved TurfNet University Webinar experience and lag-free Randy Wilson videos) and could change in-person events and tradeshows (or the need for them) forever. In fact, lag time with 5G is so minimal that doctors in London, with the use of a virtual reality headset and robotic glove to control a robotic arm, successfully performed a surgery on a that was in another location. Think what such processing speeds can mean on the golf course, where it can influence record keeping, committee meetings, access to educational seminars, downloading and accessing data about course conditions and remote control of irrigation software. But such technology comes at a cost that is not always measured in dollars and cents. Fifth generation wireless might be faster than anything you've used to date, but the effects of shorter waves that easily can penetrate the human body have not been fully understood. That said, 5G technology has been give the green light in most places around the globe. There also is concern about possible threats of espionage and cyber security due to the potential for installing bugging and malware software into some Chinese-manufactured chips. That threat is so real that the U.S. has outlawed use of Chinese-manufactured chips in U.S. government devices and could affect information sharing with allied governments using devices outfitted with the chips. Despite the industry's push for 5G acceptance, there has been widespread opposition to the technology across the U.S., at least until health risks associated with it are better understood. Because wavelengths are shorter than those utilized by 4G and previous iterations of wireless technology, 5G technology requires far more antennas and repeater boxes to relay the waves. Rather than using the intrusive cell phone towers that dot the landscape, 5G technology uses smaller, more obscure boxes that must be installed every few hundred feet on utility poles, sides of buildings, etc. And each handheld device will transmit a focused beam (up to 20 watts) in search of the next relay station. A metal plate inside each phone between the circuitry and the display will attempt to protect the user's head from that penetrating beam, but users in crowded locations will be subjected to a constant matrix of beams. There is no consensus among scientists and medical professionals about what such exposure will mean now or to unborn generations as we store these radioactive devices in our pockets. According to the Web site HowToGeek, as many as 17 U.S. markets already have 5G technology and at least two dozen more are scheduled to come aboard throughout the year. AT&T is promising nationwide coverage by 2020. In Belgium, officials in Brussels have halted 5G testing in that nation's capital and put a pilot program rollout on hold until the effects of such intense radiation exposure can be studied further. Congress has accused the FCC for not doing enough to understand the risks. One town in California has voted to block installation of antennas and others have asked to halt advance of the technology until scientists have a better handle on its effects. At least seven bills asking for more information on electromagnetic fields emitted by wireless devices are being considered by legislators in Massachusetts. There are a lot of positives that will come with 5G wireless technology (and whatever iterations come after that). Indeed blazing fast TurfNet University Webinars and buffer-free streaming of Randy and Buddy are inviting ends-justify-the-means scenarios, but obviously there are health questions we deserve answers to (like a dose of brain cancer that makes a skillet to the head by Momma seem like a stroll up the 18th fairway) before this technology is widely adopted. In a world where government and big business - and the money that flows between them - are linked as closely as Romulus and Remus, we can only hope that common sense wins out over dollars and cents.